NEW DELHI, India, September 12, 2012 (ENS) – The government of India’s capital city says its some 17 million residents will have to learn to shop without plastic bags. On Tuesday, the Delhi cabinet approved an order imposing a blanket ban on the use, storage, sale and manufacture of single-use plastic bags in the city. Shoppers must now adopt alternatives such as jute, cloth and recycled paper bags. Under court order, the Delhi government issued a similar order in 2009, but after initial enforcement drives that netted about 300 violators, the ban was ignored and plastic bags reappeared. 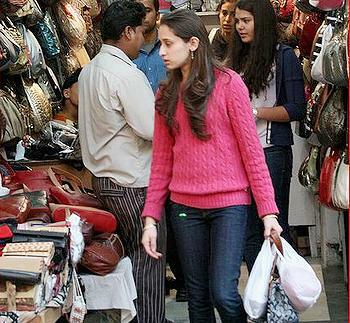 Violating Delhi’s new bag ban will be punishable with a prison term of up to seven years and/or a fine of Rs. 1 lakh (Rs. 100,000 or US$1,810). A special court has been established for handling these cases. The Delhi Pollution Control Committee, the three municipal corporations, environment and labor departments and sub-divisional magistrates will be responsible for enforcing the ban. A notification on the ban will be issued soon and the government will have one year from that date to implement the ban completely. The new ban covers manufacturing of plastic bags and use of plastic sheets, films or covers for packaging books, magazines or cards. The only exception to the ban will be use of plastic carry bags under the Bio-Medical Waste Management and Handling Rules of 1998. The previous ban contained loopholes that made it difficult to enforce. Bags of 40-micron thickness or more and biodegradable plastics were permitted, creating confusion about whether any given plastic bag was permitted or not. 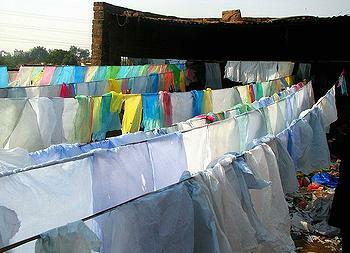 The very fact that the 2009 ban was ordered by the court, rather than established by the government made it more difficult to enforce, according to Bharti Chaturvedi, director of the Chintan Environmental Research and Action Group, a nonprofit that works with waste pickers to reduce ecological footprints and increase environmental justice. “The previous ban was imposed since civic agencies were unable to handle the city’s municipal waste problem,” she said. Plastic bag manufacturing was permitted within the Delhi city limits under the 2009 order, so the bags made their way into local markets regardless of the ban. About 4,000 plastic bag manufacturing units are operating across the city, but only about 300 of them function legally. The others are in unrecognized industrial areas and are not licensed by the state pollution control board. Still, close to 100,000 people employed in manufacturing of plastic bags and a roughly equal number employed in sales and distribution are likely to lose their jobs when the new ban takes effect. The Confederation of All India Traders, which represents retailers, is planning to ask Chief Minister Dikshit to gather a task force of industry and government officials to work out alternatives to plastic and a rehabilitation plan for those thrown out of work by the ban.